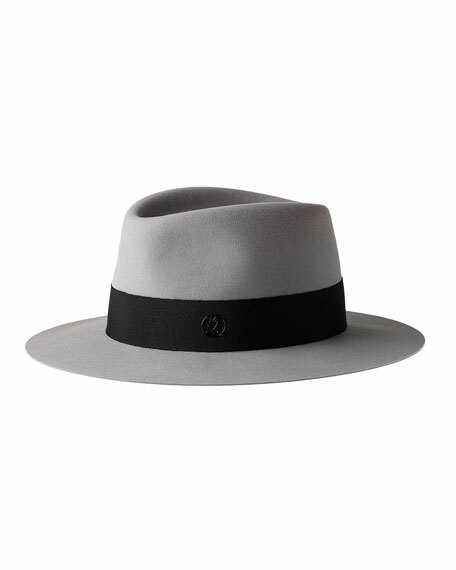 Maison Michel fedora hat in water-resistant rabbit felt. Grosgrain band with logo medallion. "Andre" is made in Italy. For in-store inquiries, use sku #2206214. Eugenia Kim "Courtney" venter hem-blend fedora hat. Ivory/black striped hat band. One size fits most. Packable. Hemp/cotton/polyester. Trim: cotton. Made in USA of imported material. 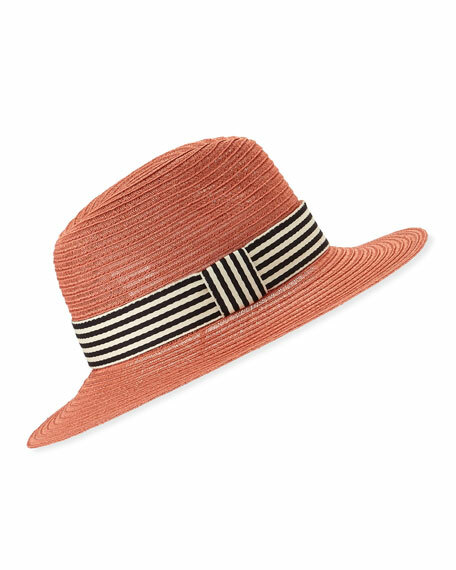 Eugenia Kim "Harlowe" woven sisal fedora hat. Hand-applied Swarovski® glass simulated pearls at contrast grosgrain ribbon hat band. One size fits most. Pinched crown. Wide brim. Made in USA of imported material. 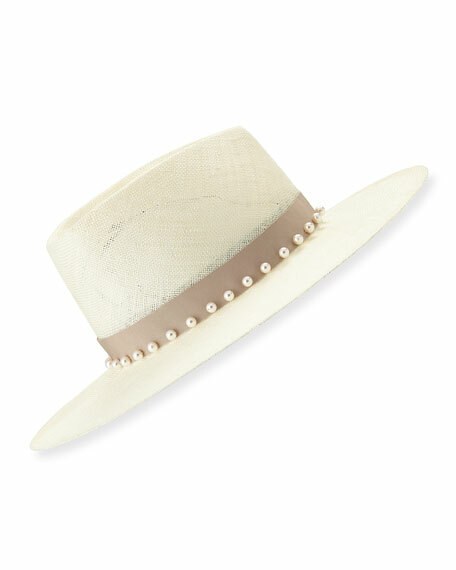 Gigi Burris "Bungalow" woven straw Panama hat. Indented crown. Wide brim with raw edge finish. 22.5" opening. Hat band: cotton. Made in USA of imported material.